Rule #1 when cooking scallops is to buy fresh, high-quality, scallops. 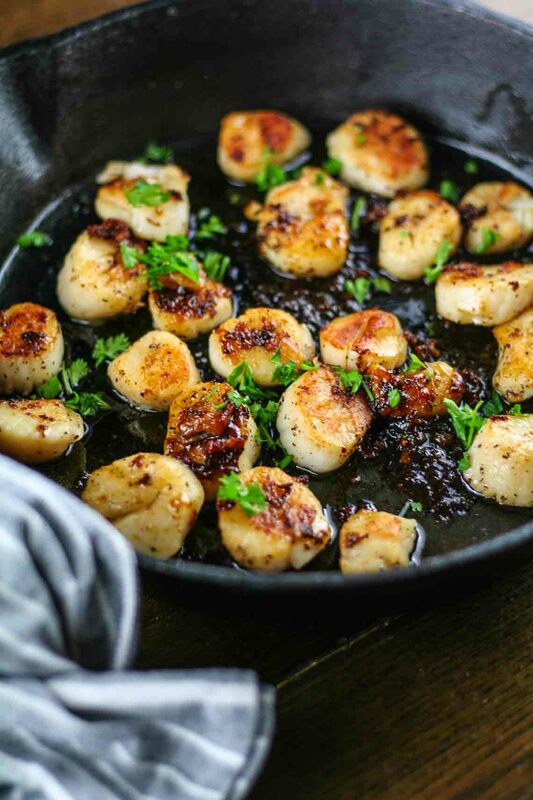 With that being said, scallops still have a very distinct flavor so if you haven’t tried them before you might want to consider doing so before cooking your own. Or be adventurous and just jump right in, whatever suits you! 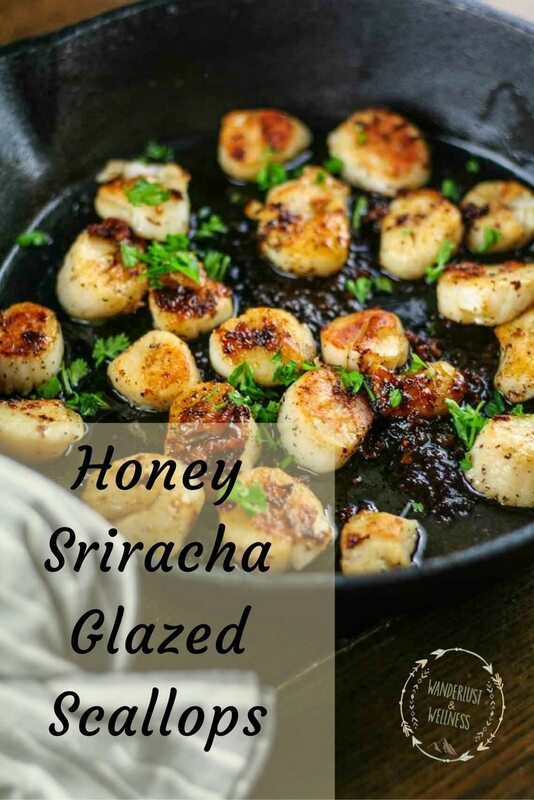 I’m all about a good glaze or sauce with almost every meat or fish I cook and the honey sriracha glaze used here is no exception to that. It gives the scallops a nice, sweet heat. When cooking, or searing, scallops the key is IT DOESN’T TAKE LONG AT ALL. Okay, I wasn’t actually yelling at you in caps, but seriously, 2 minutes on each side and they’re done. Depending on the size of your scallops, maybe 2.5 – 3 minutes on each side but that’s it. I like to sear meats in my cast iron skillet, so I used my 9 inch cast iron for this dinner. The scallop portion of the meal doesn’t actually take very long so plan accordingly. I served these with a side of asparagus and Parmesan rustic mashed potatoes (recipe coming soon!). Heat your cast iron skillet on high heat and add butter to skillet. Once the butter has melted, add scallops to pan keeping them spaced apart and not touching. Sear uninterrupted for 2 minutes per side and flip gently. There should be a nice golden crust formed on the seared side. Once both sides have been seared, remove from pan and set aside. To deglaze the skillet, add the olive oil, sriracha and honey and stir until everything is released from the pan. You can add additional oil or sauces as desired. 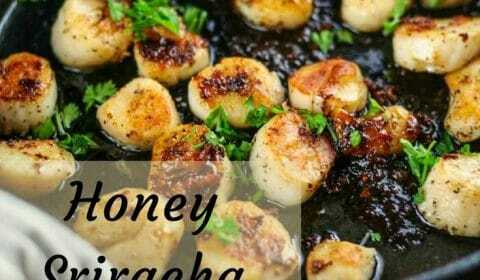 Remove from heat and pour over your scallops. Previous Post: « 30 Recipes That Will Totally Make Your Labor Day!